To anyone close enough to speak with him in first name terms, he was Zbig. A typical American habit of kerbingconsonant-rich names that echo history to sound short, familiar, and approachable. However, this hard sounding Polish name defied the trend and was known the world over in its full Polish version,in varying accents. Brzezinski was a name of weight and consequence, infused by the authority of intellect, the gift of foresight, succinct expression, and ferocious clarity. His advice, I recall, was always valuable to hear but never easy to execute. Brzezinski was an intellectual devoted to the art of thinking about action, in its context, its constraints, and its motivational thrust. Most people are happy to be the voice of their generation; Zbig was the mind of at least two. 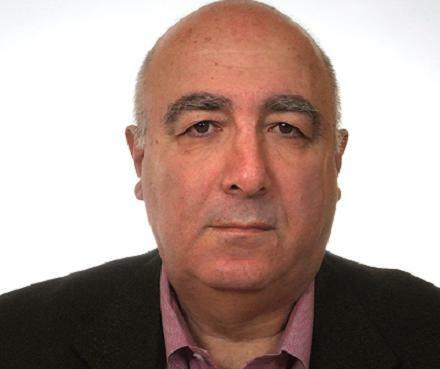 As a public servant, he went from building expertise in the Soviet system to envisioning a “post-Soviet world order.” He was a systemic thinker, admitting the institutional and contextual constraints on decision-making, but he never absolved decision-makers (and not only Americans) from their responsibility to act. Nor did he seek absolution for himself. Brzezinski believed in piloting the world, not merely adjusting to circumstances. Moreover, he was in that sense the thinker cut out for the American superpower. As an advisor, a decisionmaker, an opinion leader, and an intellectual, he took informed risks, and he had guts to do that without an iota of hesitancy. 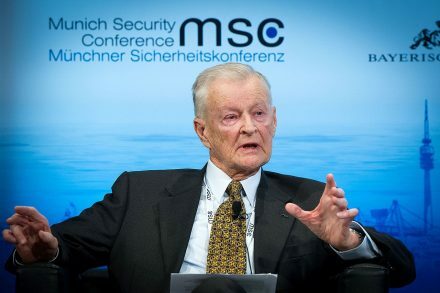 From the negotiations with the Iranian government to the Camp David Accords and from his analysis of Soviet totalitarianism to envisioning America’s role and security after the Cold War, Brzezinski combined a goal-oriented approach with a profound sense of context, political, historical, and geographical. Brzezinski had the intellectual humility to be curious and the ambition to be consequential.In addition, he was consequential. When we first met in the early 1990s much of what the world is today was not inevitable. Zbig played a crucial role in shaping the significance of the South Caucasus as an energyhub, laying the foundations for a future in which the region would be seen as a broader nod for infrastructural development and security cooperation. Specifically, I recall Zbig’s support for the Baku- Tbilisi- Ceyhan (BTC) pipeline, which placed Georgia on Europe’s mental map. While I was liaising with regional partners, I was keenly aware of the political frailty of the project. Almost daily, Russian diplomats and generals visiting Baku to divert President Heydar Aliev from his commitment to the project briefed us of successive missions. The bottom line message was clear and a typical Russian one from the category of the so-called “negative conditionality”, which we heard on so many occasions and regarding different issues – “either with us or against us”. 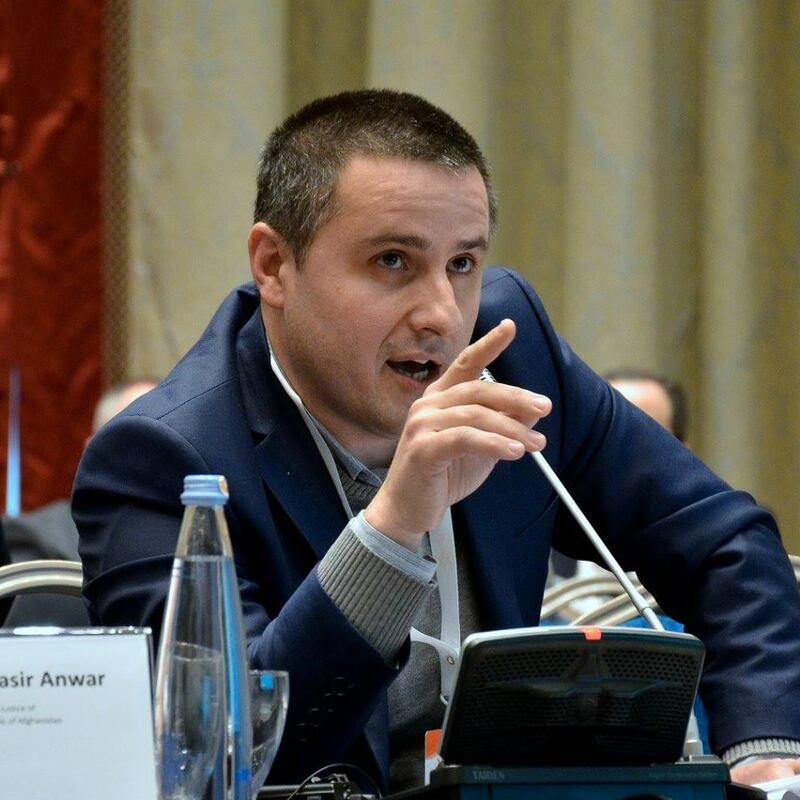 Moreover, in those circumstances Moscow’s messagewas a Gromyko-style: “If there should bea pipeline from Azerbaijan to the outside world, it should make its way through the Russian territory!”Naturally, my friend and colleague Ambassador Hafiz Pashaev and I alerted the White House and the entire Administration to the challenge at hand. President Clinton at the time dispatched none other thanZbigniew Brzezinski to Azerbaijan. Zbig arrived on site to offer America’s full-scope support personally to President Heidar Aliev as well as a succinct account of the choices unfolding before all stakeholders and make the greater positive case for the future relationship between Azerbaijan, Georgia, and Turkey in the region. His account was cemented by a personal call from President Bill Clinton. All this now seems to be water under the bridge. At the time, it wasn’t – it was a tough and rough moment! To this day, I recall Zbig’s advice to me when I delivered my credentials as the Ambassador of Georgia to the United States: “Georgians should make Georgia not only a democratic state but also “grounded and capable”– he used, I distinctly recall, the Russian term “самостоятельное государство” –able to both make sovereign choices and defend them. With his usual unrelenting clarity, he used to remind me that although Georgians are very nicepeople,ourleaders historically tended overly rely on “salvation.” Time and again, he warned, only Georgians will spill blood for Georgia, which we subsequently did in our wars for our territorial integrity against Russians in the early 1990s and then in 2008 but we also contributed to the global security from Iraq to Afghanistan and all the way to Central Africa, shoulder to shoulder with our allies.Thus, since regaining our independence we spilled our blood and lost lives not only for Georgia’s independence and sovereignty but also for the safety and stability of other nations and states on a global level. Therefore, we can say that we learned well Zbig’s lessons and took into account his counsel. Georgia has now come of age. In addition, in line with Brzezinski’s school of thought, we are emerging as a state that is has a regional role to play. We are assuming responsibility for our future. Engaging with the Venice Commission, the OSCE, the Council of Europe, and the European Union, we have set political and normative benchmarks and met them, year after year. In cooperation with the IMF, the World Bank, and the EU we have set economic and social benchmarks and have met them, year after year. Moreover, the international community acknowledged our progress and the understanding of Georgia, as a “post-Soviet” society no longer encapsulates the essence of who we are – a truly an Eastern European state. Georgia now plays a systemic role for Europe and the Euro-Atlantic community, pulling its sovereign weight in a community of values and norms. However, young generation of Georgians and not only them should remember that the seeds of this new reality were sown by Zbig’s generation. In meeting people like Brzezinski, one was made acutely aware of the weight of the moment and the seriousness of each decision, because it is in the present tense that we build the future. In that first meeting with our first Foreign Minister, Giorgi Khostaria in 1991 in Washington DC, his advice to us was to be ruthless enough to be relevant,to think contextually and to reflect with soberness and realism on the world around us: to lock onto a destination, while retaining the flexibility to adapt our course. Given Zbig’s awareness of cultural subtext on foreign policy, I recall with pleasure how we talked endlessly of real options, over and beyond the luster of an emerging world that seemed too new, too ambitious, and too disregarding of the sooth of history. I remember our frequentmeetings his office forcomfortablearmchair conversations over maps, that is, a style of work that gave meaning to the old British term “a gentleman and a scholar.”Moreover, I will never forget his tendency to cut out Georgia from the map, looking for a safe region to place it. He always reminded me that realistic foreign policy gains credence when the rationale you develop is regionally grounded. While this cannot be done in real life, it is a useful intellectual exercise. Brzezinski made history by respecting history. During the Cold War, it is saidthat Zbig in his capacity of a National Securityurged President Carter to redirect the targeting of nuclear missiles from the countries and territories that were occupied by the Soviet regime: from Tallinn to Tbilisi and from Riga to Tashkent – to keep off the map the capital cities of those Republics.Moreover, we, Georgians, love to believe into that as we think that wise man did that with his precise strategic vision and intuition as if he already envisaged a new strategic paradigm with the countries he seek to engage in his future equations.That was foresight. Since our first meeting in Washington, we often met around the world, and sometimes in Tbilisi. Our meetings werealways pleasant and cordial, as it often is between people who have shared the moment of a decision; our conversations sometimeswere also intense, as it is always a pleasure to argue with people you respect. Zbig was as easy to disagree with, as he was to mystify. He did not dwell too much on small talk, and his intellectual integrity always undermined his diplomatic skill. He was friendly, but also a relentlessly dissecting analyst, looking for the bottom-line decision to be made. Zbig was a cast iron public servant, of the kind that is both old and timeless. Zbigniew Brzezinski radiated seamless clear thinkingof the kind one can rely upon and take for granted. And although every generation produces its own voices of authority, people like Zbig are succeeded, not replaced. He will be truly missed.